Do you include your dog during Valentine's Day celebrations? Showing your dog you love them on Valentine's Day is easy and doesn't have to cost much or anything at all, in fact. You can take your dog for a walk, go to the dog park, take a car ride, or just play a game of fetch outside. Since many humans enjoy special treats on Valentine's Day you could also share something extra special and tasty with your dog. 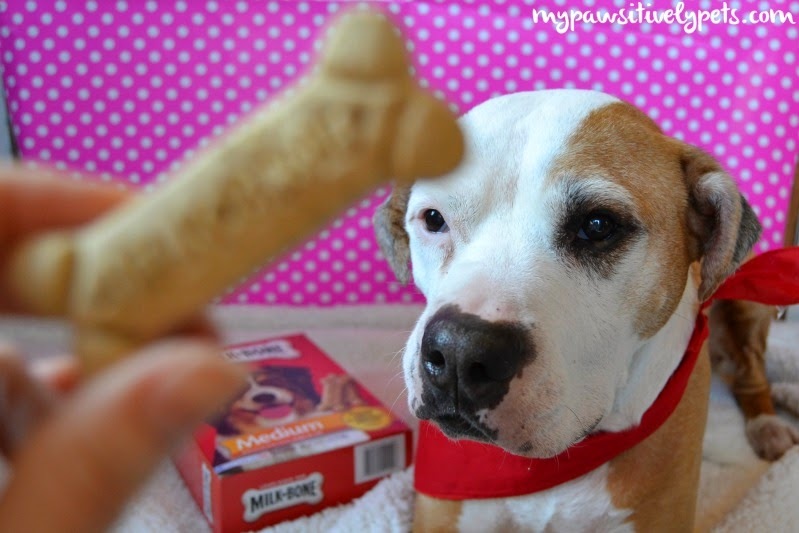 Unfortunately, most Valentine's Day treats for humans (chocolate and candy) is NOT safe to share with your dog so you may want to pick them up their own special doggy treats. 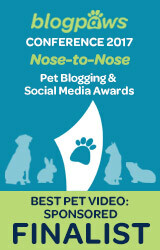 This year, Big Heart Pet Brands wants to give dogs their OWN Valentine's Day on February 13th. They've made "Doggy Valentine's Day" a breeze to celebrate too. If you visit their website, you can print out some super cute Valentines for dogs. OR You can get these Valentines for free with your purchase of Milk-Bone, Pup-Peroni, Milo's Kitchen, or Canine Carry Outs. 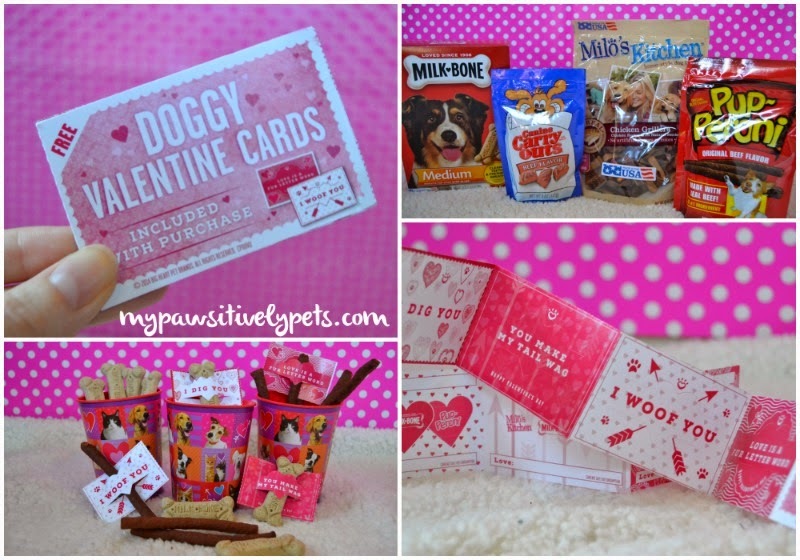 These Valentines are a perfect Valentine's Day gift for your dog and their friends too! You can create a simple gift package like I did very easily. I found a couple of plastic Valentine's Day themed cups (with cute pets on them!) at the grocery store for less than $1 each, filled them up with Milk-Bone and Pup-Peroni dog snacks, and added a couple of the Big Heart Pet Brands Valentines for Dogs. We'll be giving some of these treats to Shiner's doggy relatives and family members with dogs. I'm sure they'll enjoy them as much as Shiner does. She couldn't resist watching me take pictures of the treats any longer and decided to crash my Valentine's Day party herself. After you get your paws on these Valentines for Dogs, be sure to share! Take a picture of your dog with their special Valentine and share it online with the hashtag #ValentinesForDogs. 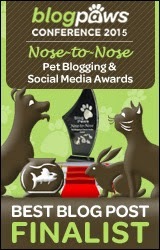 We'd love to see your photos! Stay tuned on February 13th, now also known as "Doggy Valentine's Day", for further mouth-watering celebrations! Until then, let us know how you plan to celebrate this special day in the comments. We used to give our dog Milk Bones when I was growing up. He really loved them! 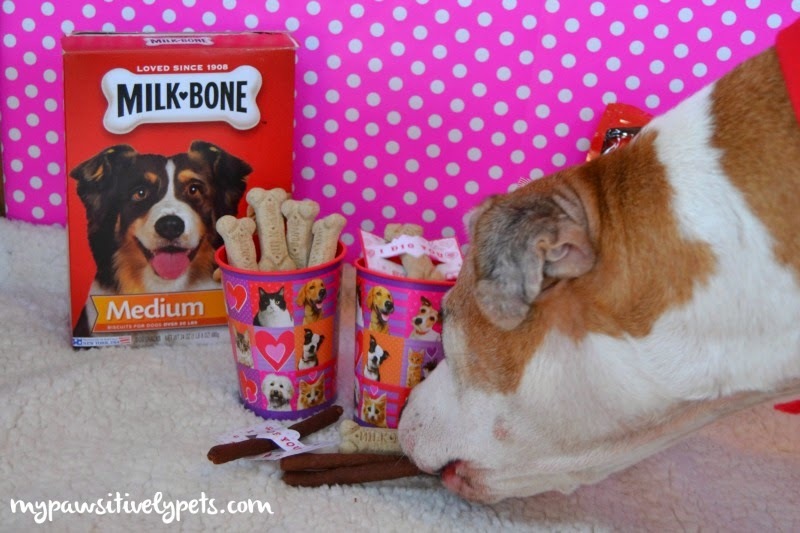 Those Valentine's Day dog gifts are really adorable, and I bet Shiner's friends and family will just love them! aw I love this idea! And the Valentin cards are just so cute! Such a cute idea! A great gift. I love the cards, they say it much better what we feel than the common human-cards! the idea with the cups is great, a cup of love! I've asked Harley what he wanted for Doggy Valentines Day.... Have no idea what he's cooking up! I tried to comment but was thwarted by the internet - i would love to have a rat but ithink some of my roommates would complain. Niles used to be ok with rats. I wonder if the youngins would mind...- Alana. That is such a great idea. My dog is a tad overweight so can't have many treats. 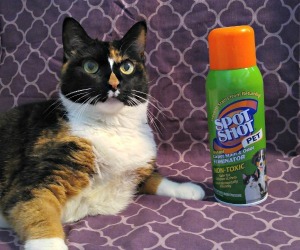 She has terrible arthritis too. But those treats look great. You all have a great day. Mom saw these packs with the Valentines at the store and said they were cute. Our doggies would have love that gift! Oh how cute! You took some really nice pictures, and Shiner looks adorable. 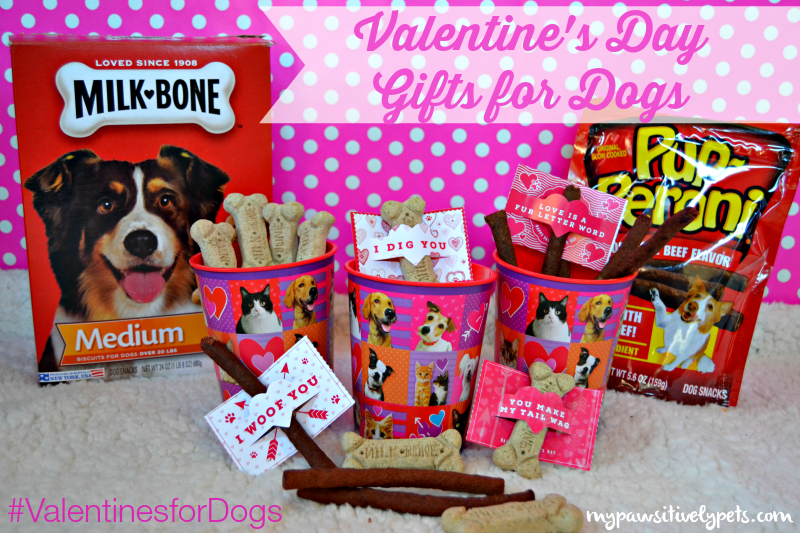 I don't really do a whole lot for Valentine's Day for my pets, but boy would my dog (and cats) love one of those treat-filled cups! Awesome ideas! I love DIY gifts for my babies, especially since I know they appreciate it! Those doggy Valentine's are super cute!! The printable cards are SO CUT. I love them.